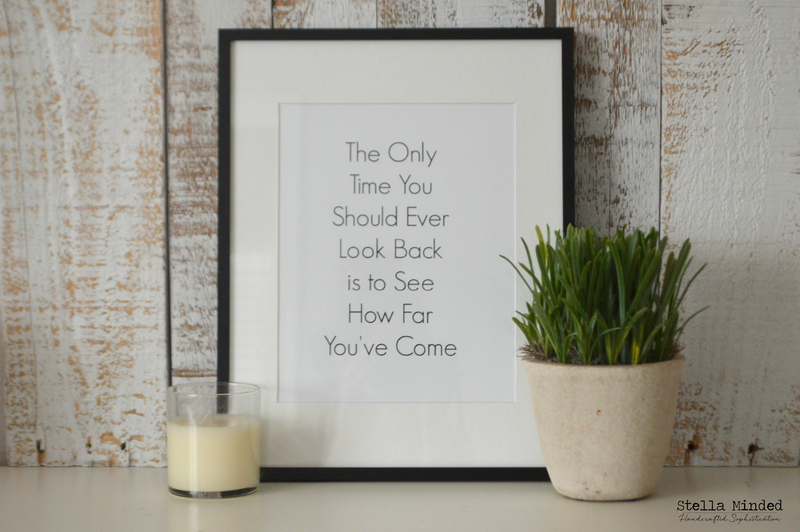 Happy New Year & FREE Printable! 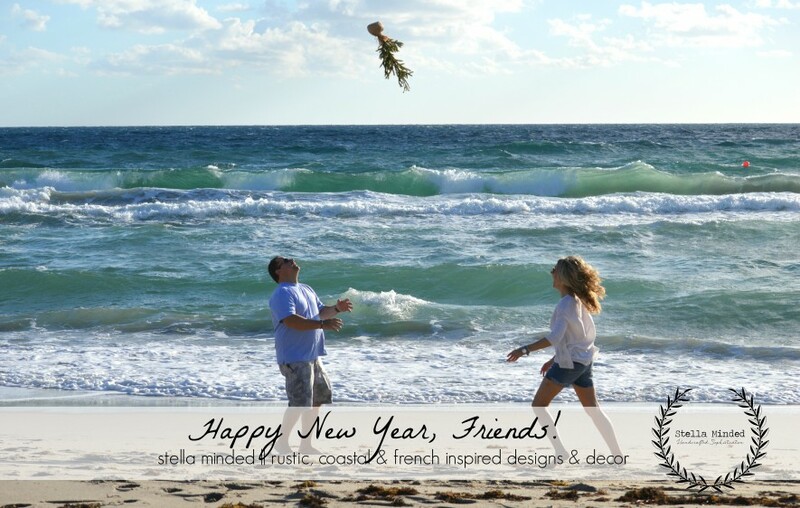 Happy 2015, friends! I don’t know about you, but I wasn’t ready to let go of 2014. Sure I love the idea of an opportunity for a brand spanking fresh new start – a blank slate so to speak; but I also don’t want to wish the time away – or wish away what was wonderful about 2014. While there were for sure ups and downs this past year, each of those experiences made me into the person that I am today, and for that I am grateful. Grateful to be a stronger, better self. Stronger for overcoming those obstacles and living to tell the story. Wiser for learning how to overcome those obstacles and grow as a person. And even learning to laugh along the way! I designed this print recently for my best friend during one of the times in our lives where I was most proud of her. I mean, I am ALWAYS proud of her, but this was one super special occasion where I was particularly proud of that woman. And then I thought, why not share this with everyone else who is so deserving of a special little gift to start off the new year? What are your resolutions for 2015 both personally and professionally? This was mine for 2014. Did you stick to your goal(s) for last year? Last year mine was to enjoy life more; worry less. 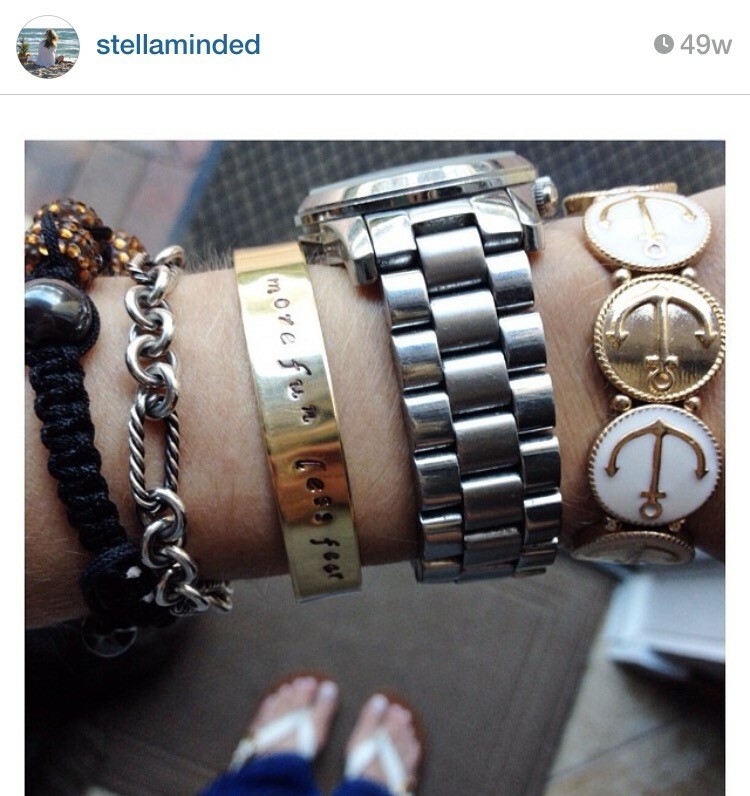 I even had this bracelet made up from the Shine Project as a reminder. And they’re on sale for only $14! And you know what? I did have more fun and less fear in my life. And guess what? Something happened that I didn’t expect – by removing those fears and anxieties from my life, it made room for happier feelings. I realized that I was only focusing on the bad; the negative, and I was feeling so unfulfilled. I chose to dwell on what I didn’t have and what I wanted, rather than embracing what I did have around me all along. I was literally taking the joy out of my own life out of fear of getting injured, or getting let down or losing. But I removed the “what if’s” from my life, and replaced them with positive thoughts. And just like that, all of those negative and anxious feelings just kind of…disappeared. I mean, it didn’t exactly happen over night – it took work; LOTS of work. But I succeeded, and I’m a different person now because of it. I want you all to be the best YOU that you can be in 2015. As a special thank you to all of my sweet customers and readers, click on the link below to download your FREE 8×10 printable! Thanks so much for reading and have a fabulously happy New Year! Please enter your email address to follow my blog and receive notifications of new posts delivered to your inbox! Touches of Christmas | Merry Christmas Eve! Thanksgiving Vignette + Free Printable!